Veteran technology professional seeking new opportunities. If you are requiring 35 years of career success in the software technology realm that spans startups through to large enterprise environments, then I'm your guy! I have tonnes of experience and I can hit the ground running. I can work as a senior project manager, an enterprise solution architect, as a scrum master and build a team focused with agile approaches, I can design databases and related structures for your business analytic projects, and I can own your Business Intelligence initiative. I can provide strong, and proven, leadership. And if need be I can occupy the technical director level. You will find I provide great business benefit and good value, my experience provides the ability to save you more than I would cost. Increasing Access to Education - this collection of eight projects helped CLEBC become one of the globes premier legal educators. Career success in three year cycles - These four major corporate initiatives leveraged all my abilities to help PAL into their next level of technology capability and realized business value. I can have an immediate positive impact to any technology initiative within large and small organizations. This success can come with startups and enterprise environments, or something new that can leverage my skills, knowledge, and experience. Enterprise and Solution Architecture - The solution side of designing technical architecture has most often been my preferred role within a software development initiative. I've done this for small startups and large enterprises. Good solution architecture creates a better technical solution that saves development costs, improves quality, and ensures alignment with business needs and the other technologies within the business ecosystem. Senior Project Management and/or Managing a Software Development Teams - Through time I have managed many projects with software development teams varying in size from 3 to 30. I have proven track record of bringing projects to completion on-time and on-budget. I seriously enjoy assisting a team of technical people to ship software. Data Analytics Project (Architecture and Team Management) - The B.Tech undergrad degree I completed in the 80's was focused on database management. And since that time my career has had data as its foundation. I do very well with data management [including the design of data structures and related communications (read API's)]. I can also work well within big data projects as my experience with big data goes back to the 1980's. Read one of my big data posts from a few years back to get a sense of this capability; Big Data; Similarities and Differences. Technical Mentorship - I'm an educator and have experienced many startups during my time in Vancouver. If you want to discuss the technical side, the team management side, and/or the development methodology to an innovation project (startup or otherwise) I can help here. Innovation - Many times in my career I have taken business strategy and made it happen. If you have a business strategy that requires software innovation I can make it tactical and implement. 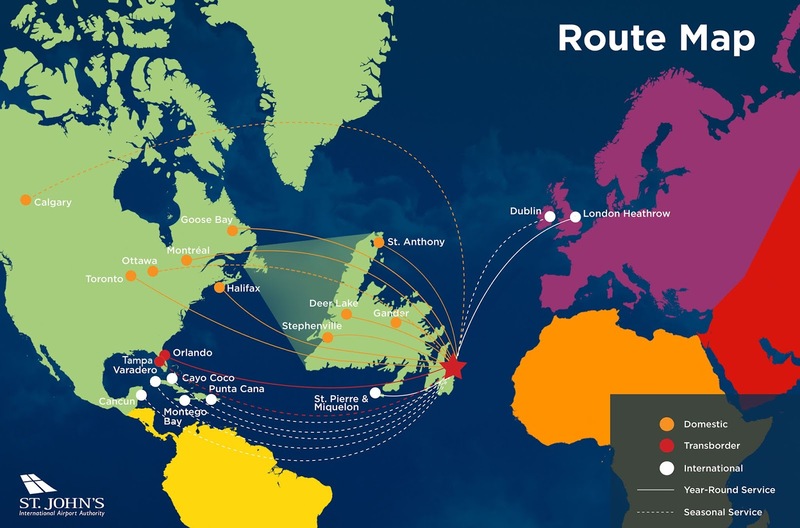 Halifax: it's a morning flight away, and can be there and back including a full days work. I'd also stay for a few days if required. Vancouver: longer stays and longer aways... I have family in Vancouver, so it would be a very nice approach to working. London, England: An outlier, but... It would be nice to work in the EU and I have a British passport so it would ease my travel and work permitting. To be succinct, I require work-life balance... mostly it is about having time to care for middle-school age children and aging parents. This means I am available part-time or full-time with loads of schedule flexibility. Never more in my life have I required work-life balance and understand what it means at a personal level. This all started when I accepted a CTO position with Bluedrop Learning Networks ( a great organization with a good alignment to my career journey ). The interview process was extensive and I had the opportunity to meet all corners of the team I would be working with. Overall a good and thorough process. Kudos to everyone involved! The interview process included multiple discussions about work-life balance, and how I (in my mid-50's) have four aging parents over 80 years, two middle-school age children, one young adult age child, a bunch of volunteer activities, personal interests that I wont let go, and three residences to maintain. Oh yes, and a spouse who is an family doctor who also works in palliative care... needless to say I am often the go-to person when a short notice family issue arises. All this said, and after a few important conversations I had to let go of my new CTO role after only six months. I needed to focus on what I consider most important for my family. Though I am not an entrepreneur ( - though, I do think a good CTO needs to have the entrepreneur mindset - ) I completely agree with Randi Zuckerberg about approaches to managing the workload of a senior professional, or also known as the entrepreneur's dilemma. Maintain friendships. Have meaningful work. Spend time w/family. Stay healthy. Get sleep. Be creative. Iterate around 3 at a time. As you can see I also added one, be creative... my thinking around this aligns with having the time to think and create, free the brain to focus on the abstract and artistic and to wonder aimlessly... it is an important part, and keeps your edge in a world where innovation is becoming increasingly important. My last post from the end of 2017 spoke to the number of sensors and devices that are currently, and becoming easily, available for data collection. This previous post focused more on the generic types of end-points and sensor technology. In this post we focus on the oceans and look at the variety of end-points used in the maritime environment. As previously identified there are a growing number of sensors and devices available for collecting data in all types of environments. This is also true for the growing number of "platforms" in which these sensors can be deployed. 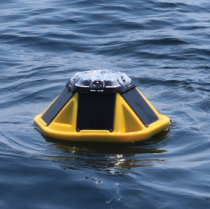 When we extend our view of sensors to include those used in oceans the list of data capture technologies grows. What is important, beyond the details of the data being emitted by these sensors, is how many are becoming a part of the digitization of oceans data "ecosystem". And with so many sensors, and therefore, so much data... a standardized approach and reference architecture defining the approaches to coalesce all this data will become increasingly important. 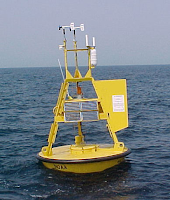 The oceans data collection "platforms"
Weather buoys are instruments which collect weather and ocean data within the world's oceans, as well as aid during emergency response to chemical spills, legal proceedings, and engineering design. Moored buoys have been in use since 1951, while drifting buoys have been used since 1979. AUV are increasingly non-proprietary and made up of “plug-and-play” AUV modules which can be brought together and configured in the field. 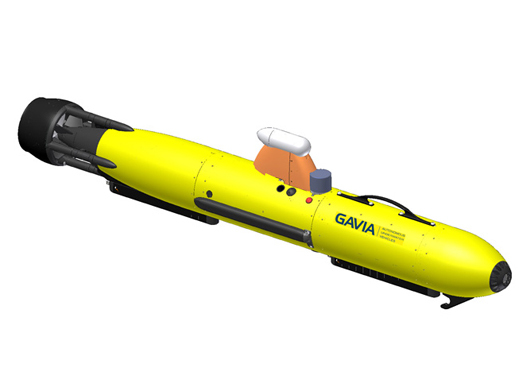 When assembled with a set of survey-grade sonar modules, a Gavia AUV becomes a self-contained survey solution with a low logistics footprint that is capable of carrying out a wide range of missions for commercial, defense, and scientific applications. A submersible platform enabling tailor-made solutions with sensors from a variety of sources. They can be used off-the-shelf or customized to better cover application requirements. They have the ability for long-term deployments and the ability to collect and transmit data through a variety of methods. 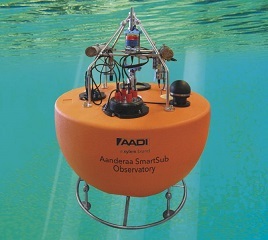 As an example, review the deep argo a submersible device for collecting data at extreme depths. The list doesn't stop at what is described here. 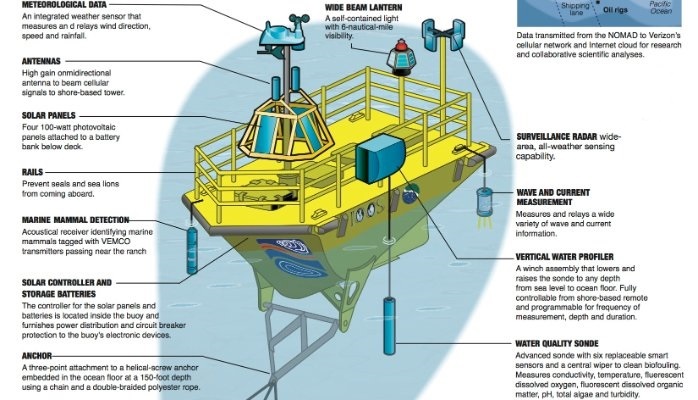 Reading and research on ocean sensors and the digitization of oceans will direct the reader toward the large number of devices collecting data in and around the ocean. Honestly, I'm amazed with the number of devices and the amount of data currently being collected about the oceans. I am increasingly of the belief the we need a reference architecture for the digitization of oceans... Actually, I'm surprised there isn't one already... for it would certainly help to bring together all the oceans data collection on a global scale for the good of us all. If you have any knowledge of an open reference architecture for the digitization of oceans please forward this information along. Thank-you! There is a growing number of data collection devices available to the digitization of everything (including oceans). The variety of devices and sensors includes everything from temperature through chemicals to acceleration. Combine the number of different sensors with the ability to transfer data over great distances and the ability to monitor even the most remote places for obscure data points is increasingly easy and affordable. The following list provides an overview of the types of devices and sensors available. 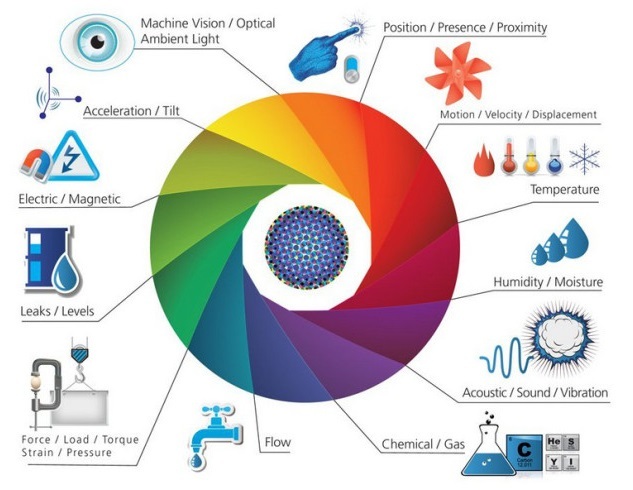 Internet of Things (IoT) Sensor Classification from Black Box Paradox. Proximity Sensor - A proximity sensor is a sensor able to detect the presence of nearby objects without any physical contact. Position Sensor - A position sensor is any device that permits position measurement. Presence (or Occupancy) Sensor - An occupancy sensor is a motion detecting devices used to detect the presence of a person or object. Motion Sensor - A motion detector is a device that detects moving objects. Such a device is often integrated as a component of a system that automatically performs a task or alerts a user of motion in an area. Velocity Sensor - A velocity receiver (velocity sensor) is a sensor that responds to velocity rather than absolute position. Displacement Sensor - A displacement sensor (displacement gauge) is used to measure travel range between where an object is and a reference position. Displacement sensors can be used for dimension measurement to determine an object's height, thickness, and width in addition to travel range. 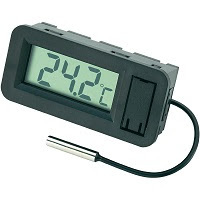 The temperature sensor detects the current temperature or changes in temperature. 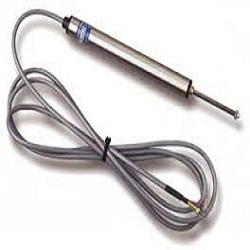 There is a large number of temperature sensors available and a comprehensive list is available on Wikipedia. Humidity Sensor - A humidity sensor (or hygrometer) senses, measures and reports the relative humidity in the air. It therefore measures both moisture and air temperature. 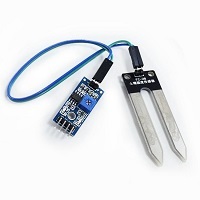 Moisture sensor - A moisture sensor is an instrument used for measuring the water vapor in the atmosphere. Sometime considered same device as humidity sensor. Acoustic Sensor - Surface acoustic wave sensors are a class of microelectromechanical systems (MEMS) which rely on the modulation of surface acoustic waves to sense a physical phenomenon. Sound sensor - Sound Sensor can detect the sound intensity of the environment. The Sound Detector is a small board that combines a microphone and some processing circuitry. It provides not only an audio output, but also a binary indication of the presence of sound, and an analog representation of it's amplitude. 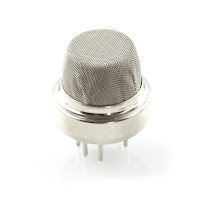 Vibration sensor - a vibration sensor can detect vibrations. A transducer, such as that incorporating a laser or a piezoelectric crystal, which converts vibrations into an electrical equivalent such as a voltage. Also called vibration transducer, or vibration pickup. Chemical Sensor - A chemical sensor is a self-contained analytical device that can provide information about the chemical composition of its environment, that is, a liquid or a gas phase. Gas sensor - A gas detector is a device that detects the presence of gases in an area, often as part of a safety system. This type of equipment is used to detect a gas leak or other emissions and can interface with a control system so a process can be automatically shut down. 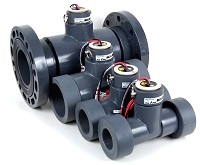 Flow Sensors monitor liquid flow rates and accumulated flow volume. Flow measurement is the quantification of bulk fluid movement and can be measured in a variety of ways. 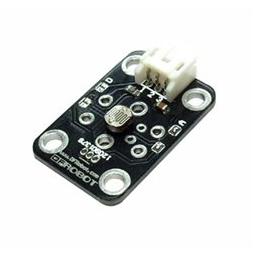 Force Sensor - A Force Sensor is defined as a transducer that converts an input mechanical force into an electrical output signal. 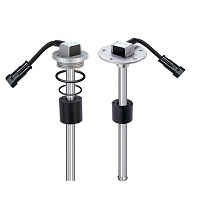 Force Sensors are also commonly known as Force Transducers. Load Sensor - A Load Sensor is defined as a transducer that converts an input mechanical force into an electrical output signal. 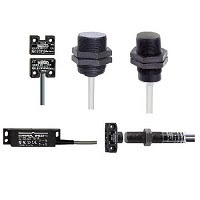 Load Sensors are also commonly known as Load Transducers or Load Cells. Torque Sensor - A torque sensor, torque transducer or torque meter is a device for measuring and recording the torque on a rotating system, such as an engine, crankshaft, gearbox, transmission, rotor, a bicycle crank or cap torque tester. 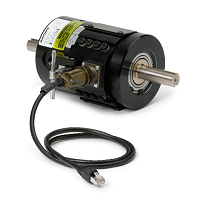 Static torque is relatively easy to measure. Strain Sensor - A Strain gage (sometimes referred to as a Strain Gauge) is a sensor whose resistance varies with applied force; It converts force, pressure, tension, weight, etc., into a change in electrical resistance which can then be measured. 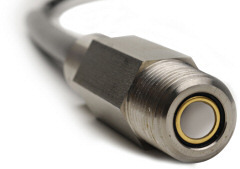 Pressure - A pressure sensor is a device for pressure measurement of gases or liquids. Pressure is an expression of the force required to stop a fluid from expanding, and is usually stated in terms of force per unit area. 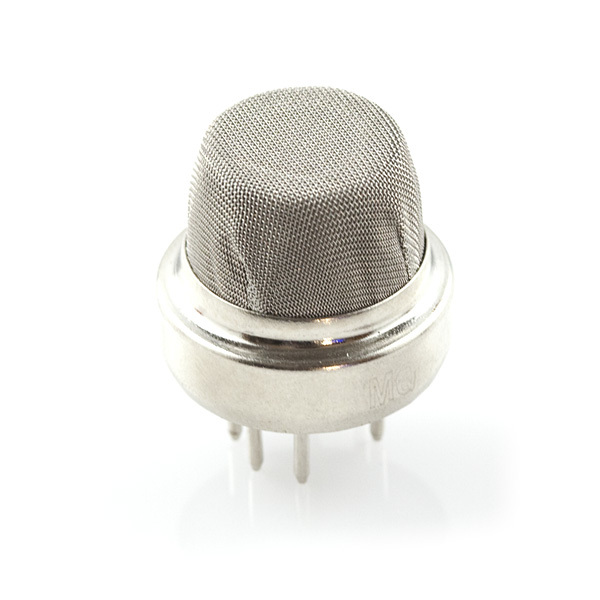 A pressure sensor usually acts as a transducer; it generates a signal as a function of the pressure imposed. Leak Sensor - leak detection is used to determine if and in some cases where a leak has occurred in systems which contain liquids and gases. Level Sensor - Level sensors detect the level of liquids and other fluids and fluidized solids, including slurries, granular materials, and powders that exhibit an upper free surface. Electric Sensor - A current sensor is a device that detects electric current in a wire, and generates a signal proportional to that current. The generated signal could be analog voltage or current or even a digital output. The generated signal can be then used to display the measured current in an ammeter, or can be stored for further analysis in a data acquisition system, or can be used for the purpose of control. Magnetic Sensor - A MEMS magnetic field sensor is a small-scale microelectromechanical systems (MEMS) device for detecting and measuring magnetic fields (Magnetometer). 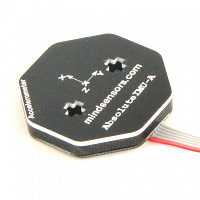 Acceleration Sensor - An accelerometer is a device that measures proper acceleration. Proper acceleration, being the acceleration (or rate of change of velocity) of a body in its own instantaneous rest frame, is not the same as coordinate acceleration, being the acceleration in a fixed coordinate system. Tilt Sensor - A clinometer or inclinometer is an instrument for measuring angles of slope (or tilt), elevation or depression of an object with respect to gravity. It is also known as a tilt indicator, tilt sensor, tilt meter, slope alert, slope gauge, gradient meter, gradiometer, level gauge, level meter, declinometer, and pitch & roll indicator. Machine Vision Sensor - As a simple concept, machine vision is the use of devices for optical non-contact sensing to automatically receive and interpret an image of a real scene in order to obtain information and/or control machines or processes. Machine vision (MV) is the technology and methods used to provide imaging-based automatic inspection and analysis for such applications as automatic inspection, process control, and robot guidance, usually in industry. Machine vision is a term encompassing a large number of technologies, software and hardware products, integrated systems, actions, methods and expertise. Machine vision as a systems engineering discipline can be considered distinct from computer vision, a form of computer science. Optical Sensor - Electro-optical sensors are electronic detectors that convert light, or a change in light, into an electronic signal. Ambient Light Sensor - A device that detects the amount of light in the vicinity. An ambient light sensor may be built into a smartphone or tablet to adjust the screen brightness based on the available light. It is also very important to note that as sensors become increasingly available and controlled over the network, security should be of huge concern. Industrial controllers are becoming increasingly targeted for security vulnerabilities and if an oceans sensor is available from a remote location over a network it is potentially open to attack. Being aware of the data available from the sensor and any control features the sensor (activator, controller) may have. When considering the digitization of oceans reference architecture and what is considered an end-point we need to also look to the other end. And by the other end, I mean the data storage end. In this post we have discussed all the end points that emit the data, and at some point the data will need to be "at rest" stored in some storage device. The topic of data storage will be discussed in a later post. Nomad - The AXYS NOMAD is a unique aluminum environmental monitoring buoy designed for deployments in extreme conditions. The NOMAD (Navy Oceanographic Meteorological Automatic Device) is a modified version of the 6m hull originally designed in the 1940’s for the U.S. Navy’s offshore data collection program. 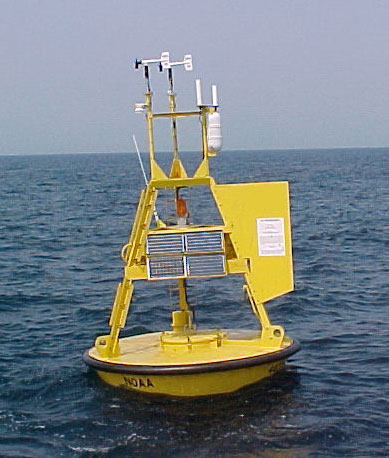 It has been operating in Canada’s Weather Buoy network for over 25 years and commonly experiences winter storms and hurricanes with wave heights approaching 20m. 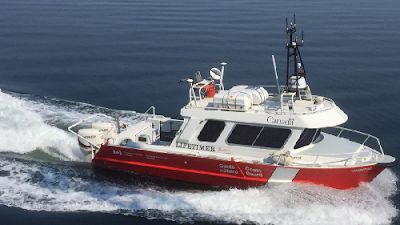 Coast Guard Canada - it is very hard to imagine this autonomous vessel will not be loaded with sensors to collect data. Portsmouth, UK, based ASV Global has converted a 26ft hydrographic survey launch to enable it to operate autonomously using the ASView control system, while maintaining its ability to operate in a conventional manned mode. The launch, which is part of the Canadian Coast Guard’s fleet dedicated to the survey operations of the Canadian Hydrographic Service, will be used as a test platform for unmanned survey work. 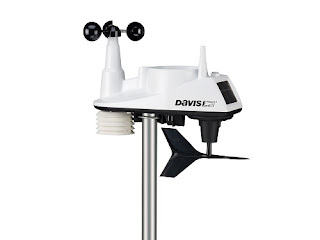 Personal Weather Stations - A personal weather station is a set of weather measuring instruments operated by a private individual, club, association, or even business (where obtaining and distributing weather data is not a part of the entity's business operation). Personal weather stations have become more advanced and can include many different sensors to measure weather conditions. 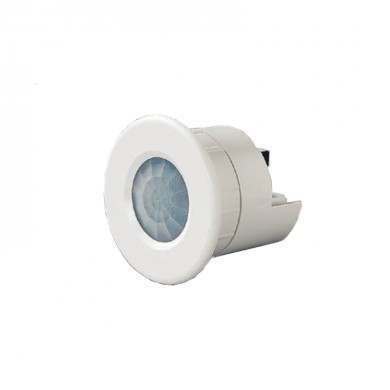 These sensors can vary between models but most measure wind speed, wind direction, outdoor and indoor temperatures, outdoor and indoor humidity, barometric pressure, rainfall, and finally UV or solar radiation. The next three posts within my series describing the need for a digitization of oceans reference architecture will be focused on the three technology domains of; end-points, communications, and data stores. This separation is to allow a deeper look into each domain as they have different considerations in relation to technology architecture and attributes important to the digitization of oceans. End Points: the sensors and devices which collect and emit data. 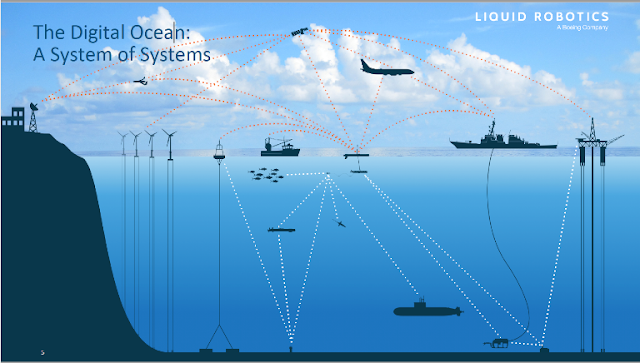 Consider this the Internet of Things (IoT) that can be located anywhere within and around oceans, airborne, surface, and submersible. Communications: the communications technologies available to transfer data from one place to another. A lot to explore within this domain; as underwater data transmission is an emerging technology, and the structure of the data messages will become the foundation of the reference architecture. Data Stores: there are many existing data storage approaches, locations, and structures that can be used to store the oceans data. Databases and database designs are already available for many of the subjects within the digitization of oceans. Better to use exiting methods to store the structured and unstructured data and use a federated approach to bring them together. Reference Architecture: The best of best practices - given its age (published 2002) it is still relevant and pragmatic. Though I do consider the description too dependent upon RUP, which introduces many weighty practices and misses some of the more agile and emergent approaches. Still the description gives good detail to the importance, breadth, and depth of the reference architecture. The later sections of this description provide information on creating, using, updating, and working with a reference architecture. These sections are particularly useful in developing the digitization of oceans reference architecture. I strongly believe the oceans reference architecture will be emergent as many new technologies and stakeholders contribute and become a part of developing the architecture. Emergent architecture is when organizational structures such as business processes and technologies are designed incrementally by many designers. Wikipedia: Reference Architecture - very short for a complex topic, but it is too the point in defining the reference architecture as templates within a subject, industry, or domain. It stresses the importance of a common vocabulary and in drawing upon successful projects within the domain. It aligns with the use of APIs which I believe will become an important part of a strong digitization of oceans reference architecture. It also calls out a number of the benefits derived from the reference architecture. CIO Online Magazine - describes where the reference architecture fits within the EA toolkit, and looks to all the relationships among business, systems, and technology. It describes how the reference architecture can greatly assist in defining specific technical deliverables within these complex systems. Having a proven, standards based, and shared toolkit for developing the oceans reference architecture will assist in keeping the architecture team distributed throughout Atlantic Canada well aligned when creating and maintaining the reference architecture.. These four serve as examples of reference architectures from established industries where the patterns, technologies, and architectures have developed through time. As you read through these you can get a sense of the value, industry collaboration, growth, and innovation that can be facilitated by having a comprehensive industry reference architecture. What is unique about a digitization of oceans reference architecture? It's too early in this discussion to be specific about the oceans reference architecture, it is important to note that it is both broad and deep. It is broad in that it includes many ground based systems, processes, and infrastructure similar in complexity to the previously mentioned examples. In addition to this broadness we need to add the theater in which the digitization of oceans operates; we have vessels of many types (airborne, surface, and submersible), we have a growing collection of sensors and protocols, we have cross industry collaborations (fisheries, environment, oil and gas, shipping, researchers, academia, defense, etc.). I believe it is safe to say the reference architecture for the digitization of oceans will be very broad due to the number of data collection points and the number of intersections (technical and otherwise). 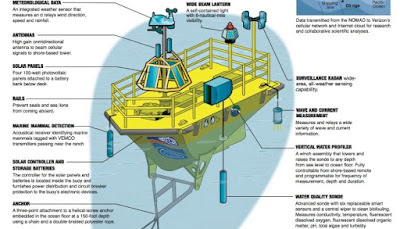 The oceans reference architecture will also be very deep in that the data will be coming from many sources above and below the ocean surface. And the data that is being collected will both be very specific and detailed, while also being general at a more meta level. I believe it is the breadth and depth of the digitization of oceans that make its reference architecture unique. And its creation is a large, important, and emerging challenge... more on this to come.